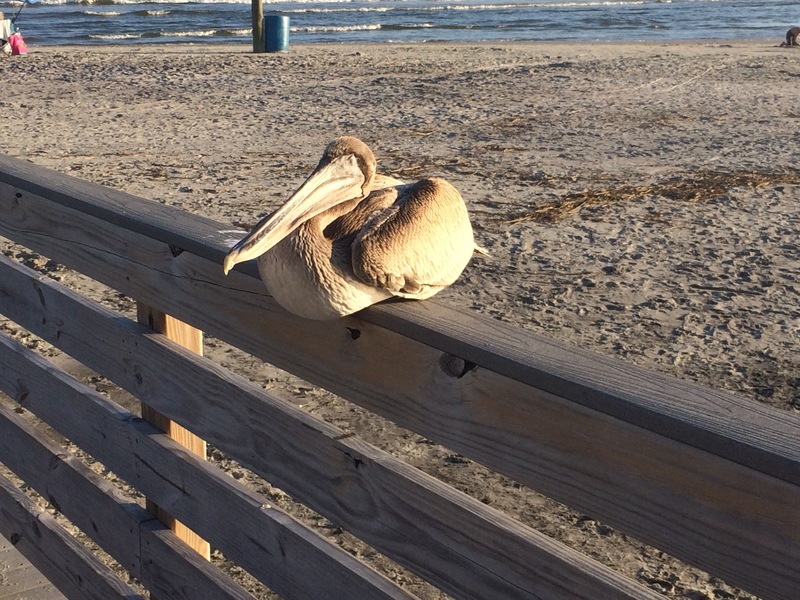 On our first day at Myrtle Beach, my brother pointed out this pelican. At first, it was crouched down and somewhat lethargic, but after I’d taken a walk around, I came back to discover it preening itself. It has a rather noticeable gash on its lower beak, which may hinder its ability to fish, and that might account for its behavior when I first saw it. Later, though, it took off flying over the water fishing. Here’s how it looked when I first saw it. Quite a contrast from the video.